Make meal times fun. Arranging his food in an interesting manner may arouse interest. Make a smiley face with his rotis and vegetables or a shape with his salad. Allow your child to eat by himself. Even if it is quite a mess to clear up, control the urge to feed him. Children seem to eat more when they know they have the freedom to decide how much they want to eat. When introducing new foods, offer just one or two, and present them in small quantities. It may be too much to expect your child to eat an entire serving of a particular food. The ‘try one bite rule’ works for a lot of moms. Many foods are acquired tastes and the more times your child tries it the more likely he will be to like it. As a guideline, it may take trying a new food as many as ten times before your child will like it. If by some miracle your child is willing to try a new food, give him just a taste before putting a whole serving on his plate. This way he won’t feel overwhelmed. Some children’s palates are more sensitive than others. They simply won’t like the texture, colour, or taste of some foods. This is why a child will often claim to dislike a food he has never even tried. Likewise, some children may have an aversion to a food because it reminds them of a time when they were sick or has some other negative association. If your child complains that a particular food will make him ill, stop offering that food for a while. You can always try again when your child is a little older. Whenever possible, let your child be involved in food decisions. 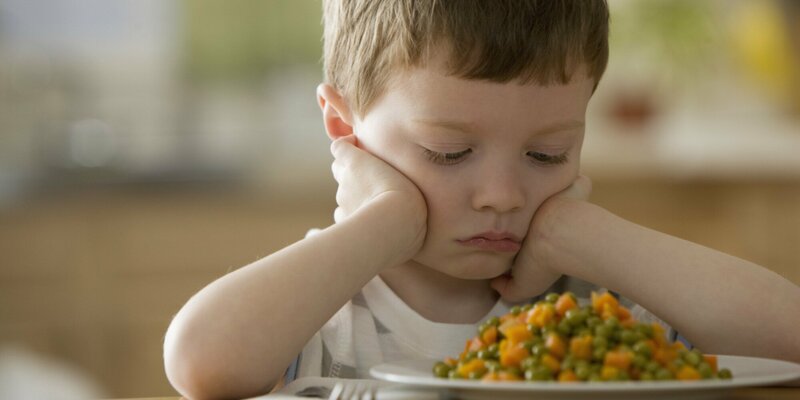 Be realistic about how much your child eats and do not expect them to consistently eat the same amounts of food. Some days your child will eat better than other days. Do not make a big deal about your child’s food choices. Making your child eat something he doesn’t like or forcing your child to stay at the table till he eats his food, only leads to more food battles.